The Lewis Funeral Home has been a tradition in San Antonio for a century. The fact that any business is able to weather the economic storms for 100 years is remarkable, but it is a historic achievement for a Black-owned business to last that long and nearly unheard of to have ownership of a business remain in the same family for that long a period. However, The Lewis Funeral Home is not only the City's oldest Black-owned business; it is also the City's largest Black-owned firm. Lewis Funeral Home was established in 1909 when Frank E. Lewis returned home to San Antonio after completing studies at Chicago's School of Mortuary Science. After he received his embalmer's and funeral director's licenses from the State of Texas, Mr. Lewis opened a funeral parlor in a two-room house on San Antonio's Eastside. The original name of the business was the Frank E. Lewis Funeral Home. He was the sole proprietor and operated the business by himself for almost 23 years. He had no assistants and therefore was responsible for all of the tasks involved in providing quality funerals for the families he served. Those duties included the actual arrangements for the service, embalming, and supervising the preparation of gravesites before and after services. In 1932, Vernon E. Larremore, the stepson of Mr. Lewis joined him in the business as an apprentice. In 1935, after a three-year apprenticeship, Mr. Larremore received his license. In 1947, he and Mr. Lewis formed a partnership and changed the name of the company to Lewis Funeral Home. During the same year, the two partners purchased the old St. Paul Church located at 230 N. Center street near downtown San Antonio, and turned the building into a state-of-the-art funeral home. They remodeled the entire structure, and with the addition of a canopy over the entrance, and flower boxes around the building, a sense of pride was instilled in the neighborhood. Vernon E. Larremore and his wife Rosie Lee brought a great deal of esprit-de-corps not only to the Lewis Funeral Home, but to the funeral industry as a whole. Mr. Larremore was widely recognized as a man that conducted business with the highest degree of integrity in a friendly and courteous environment. He was a very religious man and was actively involved in civic and fraternal activities not only within his community but the entire city as well. In 1949, the funeral home celebrated a milestone for Black-owned businesses in San Antonio when it held its 40th Anniversary celebration at the Library Auditorium, now the Carver Community Cultural Center. This was a grand event for the City's Eastside and was well attended by representatives from the religious and political communities, in addition to well-wishers from the surrounding communities. At this point, the Lewis tradition had become an established part of the culture of San Antonio and surrounding areas. 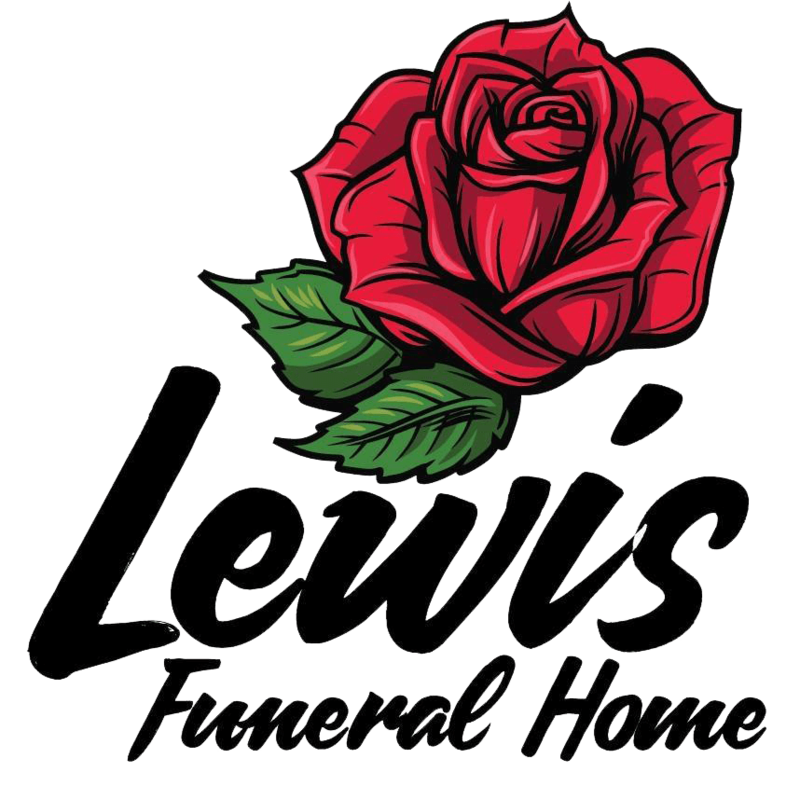 By the time the company celebrated its 50th Anniversary in 1959, Lewis Funeral Home was a household phrase. About the same time, Lewis Funeral Home began developing a staff of competent personnel who would remain with the company for many, many years. Some of its early employees were Sam Woods and Sie Garner, both of whom remained employed at Lewis Funeral Home for almost three decades. In 1960, Lewis Funeral Home received a new burst of energy and dedication when Robert Washington,Jr., nephew of Mrs. Larremore, joined the staff. At age 19 and fresh out of high school in Houston, Texas, Robert came to the company with new ideas and a strong determination to set the standards for funerals within the city of San Antonio. After serving as an apprentice for two years, he successfully passed the board of embalmers in March, 1962. Mr. Frank E. Lewis passed away in 1960. Mr. Vernon Larremore became President and Manager, and Mrs. Frank E. Lewis joined the staff as a female attendant. She was very active in operating the funeral home along with her son, Vernon. During Mr. Larremore's tenure as President, the Black population of the city began migrating from the St. Paul Square area, where the funeral home was located near downtown, to deeper into the city's Eastside. The Lewis management wanted to continue to meet the needs of the Black community, and thus relocated farther into the East Side of the city in 1979 to 1207 S. Hackberry Street. It remained there for the next 20 years. Vernon E. Larremore passed away in 1989. Robert Washington, Jr. then became Manager and later President of Lewis Funeral Home. For the next 10 years, Mr. Washington managed the funeral home, providing the same quality and integrity of service. During that period of time, Mr. Washington achieved two personal milestones that he had set when he initially became involved in the business. The first goal was to obtain a facility that would accommodate multiple family viewings in private surroundings. The second goal was to acquire enough vehicles that would allow him to efficiently conduct four to five funerals within the same hour. In 1999, Mr. Robert Washington, Jr. and his staff of 20-plus employees moved into a newly renovated facility at 811 South W. W. White Road. The newly remodeled 20,000 square-foot-facility has a 400-seat capacity Chapel, and four private viewing rooms, each of which can seat a family of 20. Additionally, the viewing room and chapel lead into a 10,000 square foot open area that can accommodate another two to three hundred viewers. The new facility is truly state-of-the-art and allows the Lewis Funeral Home to be completely departmentalized with separate rooms and offices for all departments. Each department is networked with PC computers to allow employees to efficiently communicate with one another and eliminate waste by duplication of effort. The computer network at Lewis Funeral Home was designed and is maintained by Franklin Ceruti, a retired Air Force Computer Scientist. Since 1909 the business has grown at a steady pace, and according to the late Robert Washington, Jr., the former Owner and President, who passed away on April 6, 2011, the founding principles of the business, has always remained in place and has never been forgotten. Mr. Washington would say, "Back then and even now, our business is built upon understanding the needs of the family and providing courtesy and consideration to all families and individuals that we are called upon to serve." Mr. Washington further maintained, "Everything we do at Lewis is for the ultimate goal of making the life of the grieving family better during their time of loss." "Although we are living in the 21st Century,"Mr. Washington would state, "there are some aspects of this business that I do the old fashioned way. I still believe in having someone at the funeral home 24-hours a day." Mr. Washington would always say that Lewis Funeral Home was one of the few Funeral Homes left that has a night attendant. Rodrigus Knight and Reverend Arthur Jackson continue to alternate in the quiet job of working as night attendant in quarters within the funeral home. Mr. Washington proudly gave credit to his staff and commended their dedication to helping him achieve his goals. "Mrs. Maxey," he said, "an employee of more than 30 years, has seen it all. She remained with the Funeral Home, Mr. Larremore, and me, all the way." She retired in 2002. Another employee that was praised for his dedication was Clarence Baines. "This individual came to us when he was just a boy. He was only 14 and he has been with us every day since, and believe me, he has been my right hand man." Although Clarence has always acted as Washington's main assistant, the position became official in April of 2002, when Mr. Baines was promoted to Manager of Lewis Funeral Home. James Bryant, Sr., the Chief Embalmer, who celebrated his 40th year of service with Lewis Funeral Home on February 17, 2012, is considered the "Best of The Best" in terms of his embalming skills by his peers throughout the United States. Since 1977, Mr. Bryant has served as the preceptor for the San Antonio College Mortuary Science Internship and Clinical Program. Additionally, he along with Clarence Baines, has mentored and trained many students assigned as interns at Lewis Funeral Home by the College of Mortuary Science Department. Upon the death of Robert Washington, Jr., his wife of 42 years, Lois C. Washington took over the business and is now President/General Manager and owner. Tony Ray Hendricks is the firm's Chief Operating Officer. The business is still operating under the same principles established by the preceptors: Professionalism, Integrity and Caring.